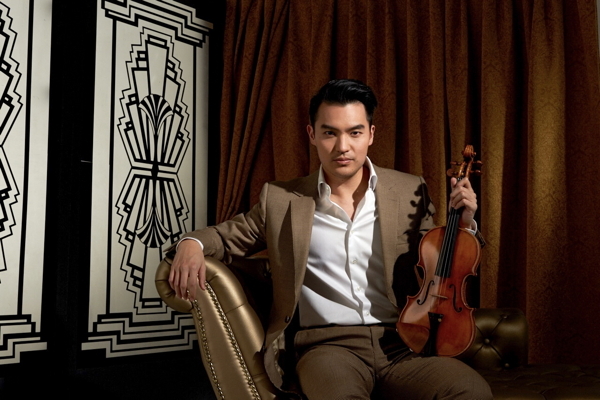 This weekend's St. Louis Symphony Orchestra concerts gave us some notable local debuts, both on the stage and on the page. On stage, Saturday night's concert (January 19, 2019) was a triumph for guest conductor Karina Canellakis, the newly appointed Chief Conductor of the Netherlands Radio Philharmonic Orchestra. In her first appearance with the orchestra, she showed an impressive grasp of a wide range of music, from Mozart's 1775 Violin Concerto No. 5 ("Turkish") to Paul Hindemith's 1944 "Symphonic Metamorphosis on Themes of Carl Maria von Weber." 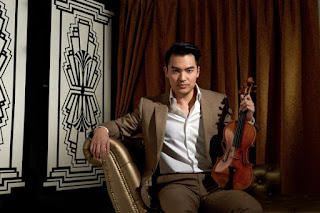 In his own local debut, Ray Chen (a last-minute substitute for an ailing Renaud Capuçon) made an equally strong impression as the soloist in the Mozart. On the page, the new kid in town was Richard Strauss's "Symphonic Fantasy from Die Frau ohne Schatten." First performed in 1919 but making its first appearance with the SLSO, this 22-minute orchestral synthesis of scenes from the composer's massive fairy tale opera neatly captures the drama and fantastic atmosphere of the original. It's a typically Straussian exercise in orchestral excess, with over 100 musicians (including an expanded percussion section and an organ) delivering a captivating kaleidoscope of orchestral color. It was all beautifully played and conducted with great authority by Ms. Canellakis, whose interpretation provided a cohesive view of this potentially very episodic work. In an interview for the SLSO program, she describes the music of "Die Frau ohne Schatten" ("The Woman Without a Shadow") as "unbelievable, impressive, and beguiling." You could hear that happy enthusiasm for the music in every minute of this stunning performance. I heard and saw that same joy and sense of fun in the way both she and Mr. Chen delivered the Mozart concerto. The last of the composer's violin concertos, the Fifth is filled with unexpected turns of phrase, including the so-called "Turkish" interlude of the finale in which the cellos and basses strike their strings, col legno, to produce an exotic percussive effect. This was an interpretation that bubbled over with sheer delight in music making, and it was impossible not to smile in response. A violinist herself, Ms. Canellakis clearly had a strong connection with both this work and with Mr. Chen. Enthusiastic applause moved Mr. Chen to return to the stage and play an encore: Paganini's Caprice No. 21--a nice contrast to the Mozart and expertly played. The concert opened with a performance of Beethoven's "Lenore Overture No. 3" that covered a wide emotional range, from the hushed introduction to a coda that crackled with energy. Ms. Canellakis's conducting was incisive, with neatly shaped phrases and a fine sense of the drama of this very theatrical work. Associate Principal Tom Drake provided the authoritative offstage trumpet. The evening ended with a virtuoso romp through the Hindemith "Metamorphosis." Originally intended (but never used) as a ballet score, the four-movement work is, like the Strauss piece that preceded it on the program, a riot of vivid orchestral color. Hindemith's transformations on Weber's original themes is striking in its originality and filled with great solo moments, performed with great polish here by (among others) Principal Flute Mark Sparks, Principal Oboe Jelena Dirks, and Principal Clarinet Scott Andrews. The brass section was in fine form, as was the percussion section, most notably in the "Chinoiserie" of the second movement, based on themes from incidental music for Schiller's play "Turandot." It's always a pleasure to see new, young performers at Powell Hall. Based on their strong showing Saturday night, I would think both Ms. Canellakis and Mr. Chen would be strong contenders for more appearances with the SLSO in the future. Next at Powell Hall: Gemma New conducts the St. Louis Symphony Orchestra in "Star Wars: A New Hope in Concert" Thursday through Saturday at 7 pm, and Sunday at 2 pm, January 24-27. Performances take place at Powell Hall in Grand Center. At this time, only "limited view" tickets are available.